SOUTH BEND, Ind. - Nov. 17, 2018 - PRLog -- FoThe word is getting out that CBD oil and hemp products are helping people. 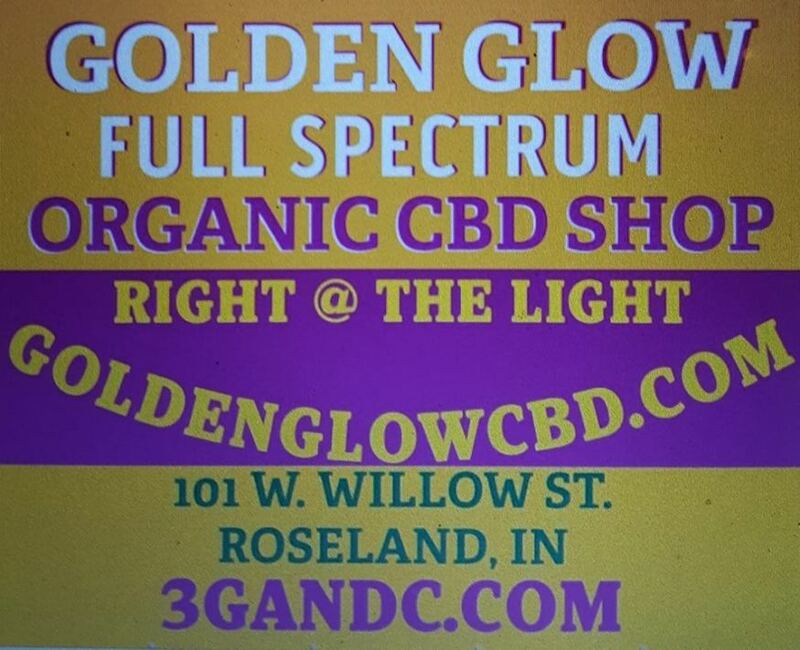 Introducing Golden Glow CBD shop and the are run by Aa'Ron John Landum and Daisy to help you with any questions you may have. They are located at 101 West Willow Drive in Roseland, Indiana 46637. There are many benefits of CBD oil such as it helps the mind relieve anxiety, depression, panic disorder, OCD, PTSD, and Neurological Disorders. For the body it helps pain relief and inflammation, helps fight cancer, relieves nausea, promotes cardiovascular health, lowers risk of diabetes, treats seizures and reduces acne. Be sure to visit their website to learn more and see all the benefits it has. The time has come to take control of your own health and make educated choices that will help your future. They keep their Facebook page and website updated to help you make the right choices and keep yourself educated on the latest news in the industry. Be sure to keep yourself updated with all the current information to help you. New Store In Independence, Iowa Called Treasures Then & Now That Has All Sorts Of Antiques & More!